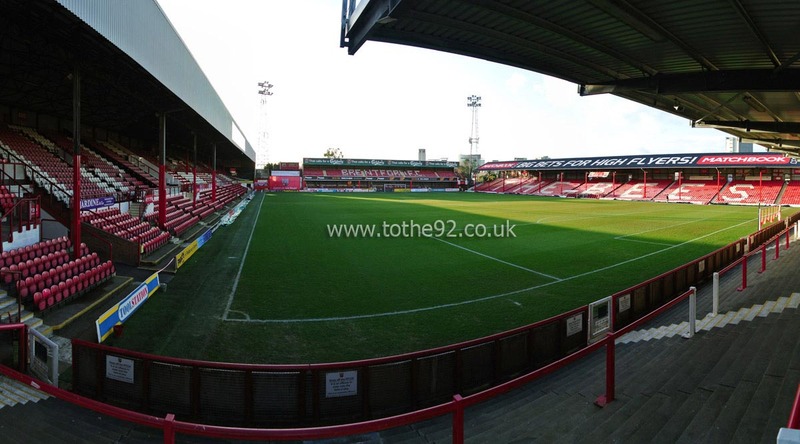 Griffin Park has a capacity of just over 12,500 and is a fantastic example of a traditional old style football ground. The Ealing Rd terrace behind one of the goals is the only stand without any supporting pillars although the upper tier of the Brook Rd stand behind the opposite goal is also pillar free. Certainly worth remember this when booking your tickets. Interestingly, the roofs of the stadium are used as a large advertising space as the stadium sits below the flightpath of London's Heathrow Airport. 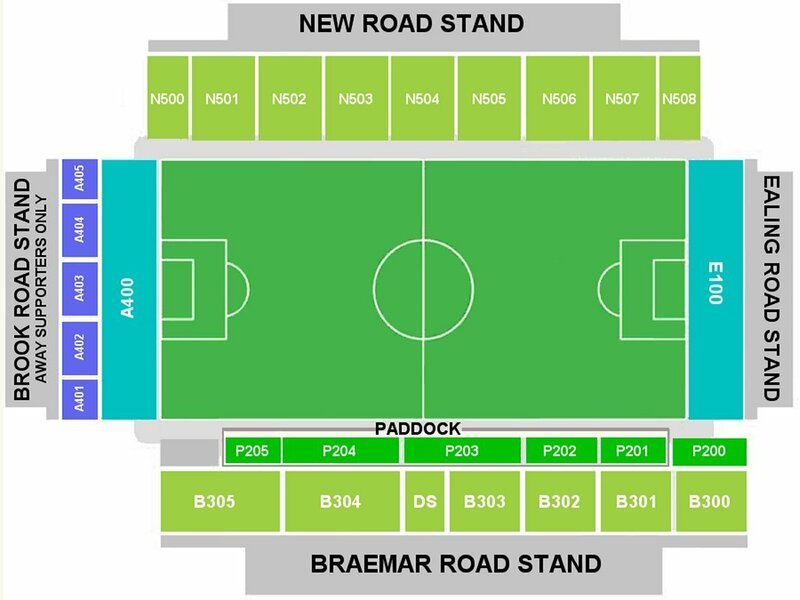 Visiting supporters are housed in the Brook Road stand, which comprises a shallow terrace with 2 rather annoying pillars designed purely to impede your view in the lower tier and seats in the upper tier. The upper tier offers excellent views of the playing area although the stand itself looks very tired now. Not only is it famously the only club with a pub on each corner it also holds the record for having most pubs within a square mile. The Princess Royal on the Ealing Road corner of Braemar Road, is a pub recently taken over by the club and is your best bet for drinking and snacking. It's friendly, laid back and reasonably priced. Bacon sarnies are highly recommended too! The Griffin (on the Brook road corner of Braemar Road) has less positive reviews, although offering a wide selection of real ales, it is very cramped and for that reason is not recommended for taking children in. On the New Road corner of Brook Road is the Royal Oak, a quieter more laid back pub that's very small and friendly, although the size again means it can get quite crowded. To complete the pubs on every corner, the New Inn, for away fans is a cosy pub/inn. If you're hungry, McDonalds is only down the road! There is street parking all around the stadium although on match days it does get busy so arrive early to avoid walking from a distance. Alternatively, the nearest tube station is Gunnersbury. It's approximately 1.3 miles from the ground but may be a better bet if you're looking for a quick get away after the game. Many fans choose this option but you'll rarely find big queues at the station after the game so it is a viable choice. The nearest / closest train station to Brentford's Griffin Park Stadium is Brentford. The station is on the Reading to Waterloo line and is within walking distance of the stadium. To walk to Griffin Park just head up the main road and turn left into Windmill Road. Take the first right (signposted Methodist Church) into Clifden Road and you can't miss the stadium from there. An alternative is to use Kew Bridge station which is on the same line as Brentford. Use the main exit and turn right, then right again into Ealing Road when you reach McDonalds. Travel: We went by Tube. Its a bit out of the way, so takes a good half hour from Central London. From South Ealing Station though, it's a straight walk along Ealing Road. The only real downside is having to cross the A4, which is like Russian Roulette! Refreshments: Nothing special inside the ground, the usual fare really. Plenty of eateries on the walk down Ealing Road though, we went in one Chinese chippy that was pretty good but I can't remember what it was called! Impressions: The away end is very basic, with the terracing down below and the seating up top. The terrace is a bit shallow so doesn't offer the best of views, but it’s perfect up top. Only about 6 rows deep, but no pillars to restrict your view. Along the sides are the all seater Braemar Road and New Road Stands, with the covered terrace at the Ealing Road End of the ground. Atmosphere: I love Cup games at lower league grounds, just because the atmosphere, the occasion is always so big for the home side, it can't fail to disappoint, and so it was here. Probably nowhere near as good as this for League games, but the noise from the Ealing Road Terrace was great, especially once Brentford scored their equaliser. We were dire to be honest, though I was in the upper, I could hear noise from below us at various stages so maybe it was better on the terrace than it was up top. Enjoy: I really liked it. Has a brilliant location like pretty much all London grounds, but also a solid decent little ground with a good set of fans and atmosphere around the place. 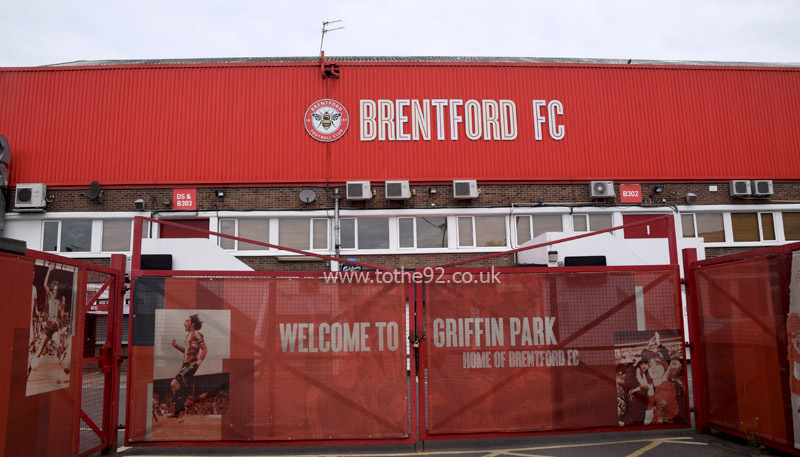 Have you been to Brentford's Griffin Park? To tell us about your experiences and to feature on the site, simply complete the fans review form below!